Think of Bavarian cuisine and your mind will probably jump to images of hearty, cream-laden dishes accompanied by huge, beer-filled maßkrugs. As fitting as this generalisation might be of the German region’s cooking as a whole, it doesn’t tell the whole story. Indeed, there are eateries in this part of southeast Germany that forego the traditional dining experience in favour of more contemporary and diverse approaches. 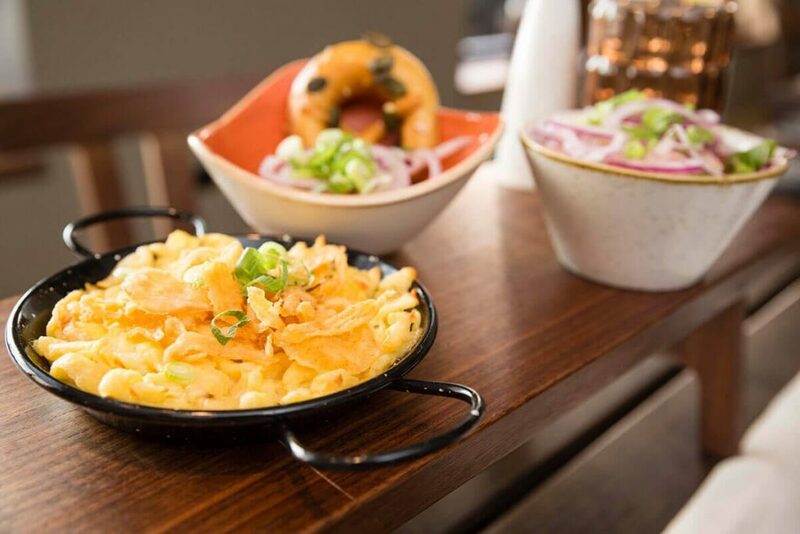 To get a taste of what alternative Bavarian dining has to offer, here are our three top untraditional restaurants in the area to incorporate into your travels. It’s not every day you get to dine in the oldest functioning social housing complex in the world. This is the experience you get with Fuggerei: a medieval walled enclave of quaint, ivy-draped homes in Augsburg’s historic Jakobervorstadt district. A true taste of Bavaria. Credit: Die Tafeldecker in der Fuggerei. At Die Tafeldecker restaurant on Jakoberstraße, head chef Torsten Ludwig is known for concocting modernised classics from regional ingredients. His innovative dishes include traditional Bavarian and Swabian specialties transformed into light tapas-style dishes. It’s not just the local fare that’s been given a contemporary update either: behind the restaurants typical ivy-covered facade lies a chic dining space complete with rich wooden slatted wall panels and long tables in the same warm timber. If you’re eating à la carte, make the Bavarian crème brûlée a priority – it’s wunderbar. A weissbier or two in the glorious beer garden is also highly recommended, especially during the summer months. On Bavaria’s northern border with the neighbouring Thuringia region sits the little sleepy spa town of Lichtenberg, home to the quaint yet unpredictable Harmonie. From the outside, this charming, family-run restaurant appears every inch the traditional Bavarian eatery. The terrace for example, built around a large chestnut tree and furnished in customary beer-garden fashion, couldn’t look more Bayern if it tried. Two main dining areas inside, both simply styled with timber floors, wooden furniture, and white table cloths are pretty conventional. So far, so Bavarian, right? Well, that’s where the food comes in. Whilst the diligently homemade dishes may appear traditional enough on first inspection, further scrutiny reveals a more contemporary hand at work in the kitchen. Modern interpretations of classic Bavarian offerings like Franconian grilled sausages on homemade sauerkraut and mustard, and Oldenburger duck in mugwort sauce are as subversive as they are delectable. The gnocchi with cherry tomatoes, green asparagus and spinach is an oft lauded highlight. Don’t even think about leaving without sampling their signature slate truffle soup (schiefer trüffelsuppe). Dine in a 12-century patrician house with a contemporary twist. Courtesy of Storstad/​Florian Hammerich. Tucked down a little side street in the heart of medieval Regensburg is Storstad – a stylish fifth-floor restaurant established in a 12th-century patrician house. This spacious interior has been transformed into a light, vaulted eatery with tiled floors, simple ergonomic furniture and a whole wall of windows that looks out onto the restaurant’s own illuminated terrace. 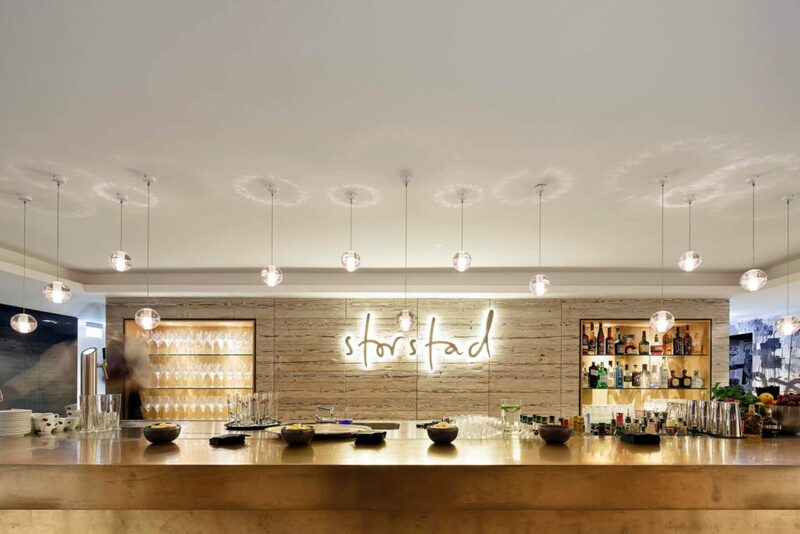 Storstad’s head chef is Anton Schmaus, a rising culinary star who likes all things modern. Thus, the theme here is ​‘Scandinavian flavours meets Bavarian traditions with an innovative twist.’ Using top quality ingredients and drawing inspiration from the seasons, Schmaus manages to create dishes that look vaguely familiar to what you might see elsewhere in this region and yet taste refreshingly original. Try the roast beef with slow braised short ribs for a taste sensation. Be sure to order one of the many excellent German wines from their cellar too. Sipping a Rheinhessen Pinot Gris or Niepperg Merlot while admiring the old town from their rooftop balcony is a fine way to polish off your evening.